The DC Designer Series line is born from the imaginative vision of the comics industry's top artists. Coming from the pages of the blockbuster series, Batman: Hush, this polyresin statue captures Lee's now-iconic take on Nightwing, complete with the former Boy Wonder's twirling escrima sticks. 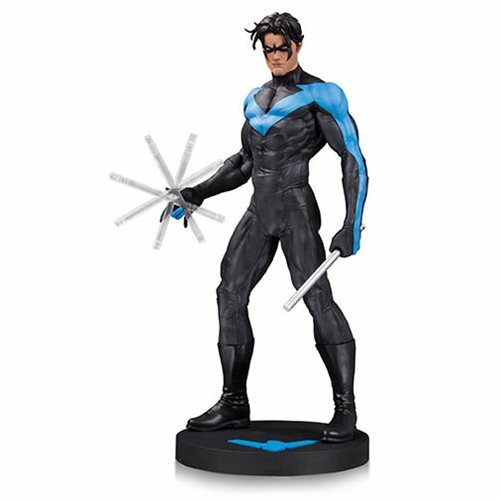 This DC Designer Series Nightwing by Jim Lee Statue is a limited edition of 5,000 pieces. DC Designer Series statues are based on art from the comics industry's top creators and re-create their vision in vivid 3D detail. The statue comes individually numbered and measures slightly under 13-inches tall.